Focus: We focus completely on IT systems for tank terminals. This means we really understand the business and we appreciate the importance of integrating functionality in the sector. In this way we strive to set the industry standard while tailoring to your needs. 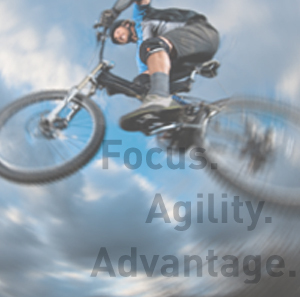 Agility: Our team is independent, energetic and flexible, and is supported by global industry partners. Advantage: At the end of the day we aim to deliver operational and commercial advantage for your tank terminal business, which is made possible by our focus and agility.